Yesterday at the grocery store I saw an old man face timing his wife to show her produce. I’ve never seen a more accurate glimpse into mine and RJ’s future! 🤣 I am definitely the type of wife who doesn’t trust RJ to pick out the right produce and RJ is definitely the sweet type of husband that would face time his wife to pick out the perfect produce. Tomorrow is officially the first day of Fall and if there’s one thing I love about Fall it’s the food. Flavorful, rich, comfort food. 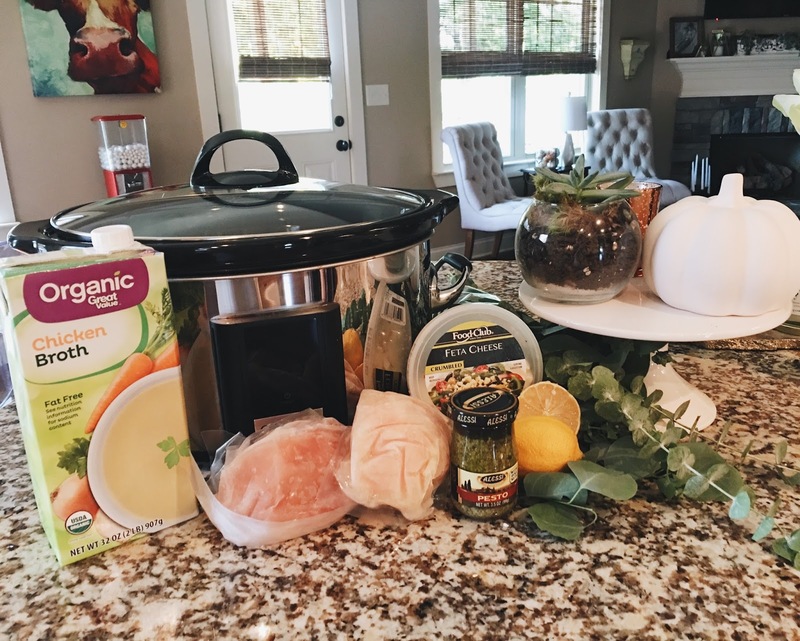 Especially crockpot meals, the smell fills the whole house, the slow cooking soaks all the flavors together and it makes your meat so tender. Not to mention most crock pot meals are dump everything in and go, so it’s a total win for everyone! 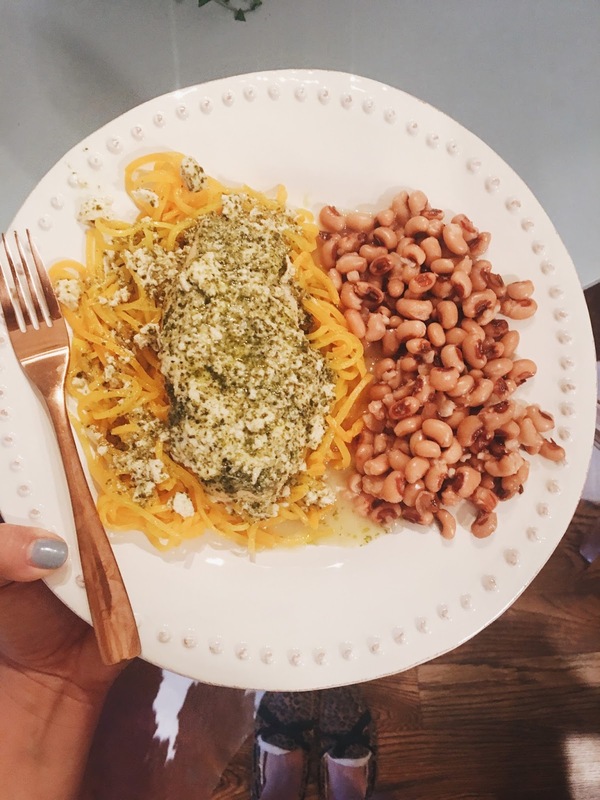 I’m a huge pesto gal, I’ve even experimented on making my own (check out my walnut arugula pesto here!). Once I convinced Hubs to try it and he realized he loved it too, it became a staple in our house! 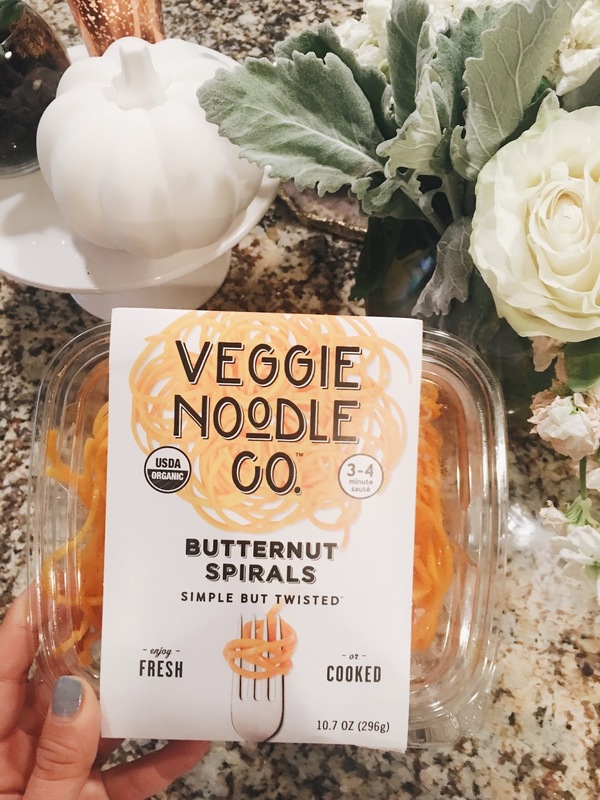 Recently I’ve paired it up with chicken and butternut squash ‘noodles’ for the easiest, most delicious dinner! I love this dinner because I usually have all the ingredients in our pantry + it’s light and healthy but still packs so much flavor. We love to eat ours with butternut squash noodles (I buy mine at Whole Foods or Fresh Market) or cauliflower rice. 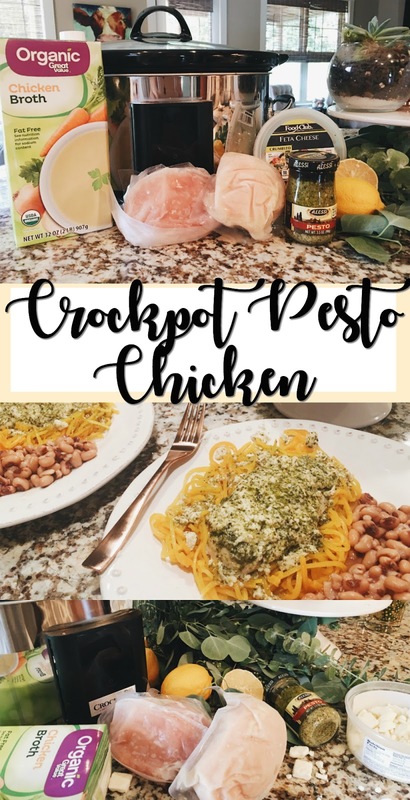 Whichever I choose, I place the chicken on top and spoon extra sauce from the crockpot over the noodles or rice, it’s so good!